SEOUL, July 18 (Yonhap) — The Hollywood film “Spider-Man: Homecoming” has surpassed 6 million in the accumulated number of viewers on the 13th day of its run, data showed Tuesday. According to a computerized tally from the Korean Film Council, the latest movie in the Marvel superhero franchise added 124,129 to its domestic audience tally of 6.02 million on Monday. 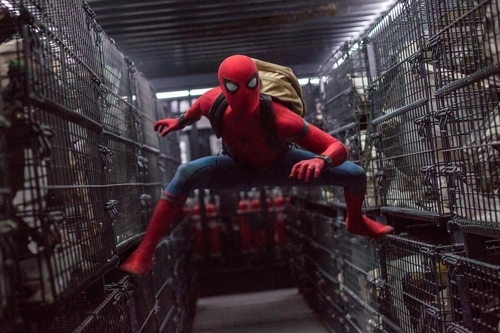 The movie, starring Tom Holland and Michael Keaton, has dominated local box office charts since it opened in South Korea on July 5. It became this year’s most viewed foreign film in the country on Sunday, just 10 days after its release. This surpassed American film “Beauty and the Beast” that drew some 5.13 million viewers in the first half of 2017, followed by “The Mummy” (3.69 million), “Fast and Furious 8” (3.65 million) and the animated Japanese film “Your Name.”(3.63 million). The latest reboot of the “Spider-Man” franchise is about young Spider-Man, played by Holland, growing up as a superhero and taking on the villain the Vulture played by Keaton.